Originally conceived as a companion to the groundbreaking 2011 3-disc DVD set of the same name, this book combines astonishingly detailed musical transcriptions, historical writing, instructional text, and a beautiful collection of photographs to create a book that every drummer and every fan of Neil and Rush will want to add to their collection. At the heart of the book are note-for-note musical transcriptions of 17 songs that are included on the Taking Center Stage DVD. These transcriptions are exclusive to this book, since they are taken from the performances on the DVD, documenting how Neil currently approaches the songs. Some of the tracks included are Tom Sawyer Red Barchetta. The Spirit of Radio, Free Will, Subdivisions, Time Stand Still, Marathon, La Villa Strangiato, The Trees, Caravan, BU2B, Far Cry, and many others. But this is much more than a mere transcription book. The book is divided into chapters corresponding to each and every Rush tour from the time Neil joined the band in 1975, up to the present. 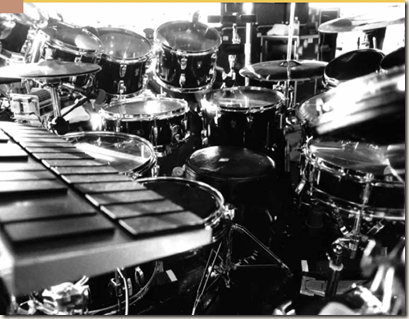 Each of these chapters contains extensive text discussing the musical approach of the band at the time, the construction of the drum parts, and Neil's set up. 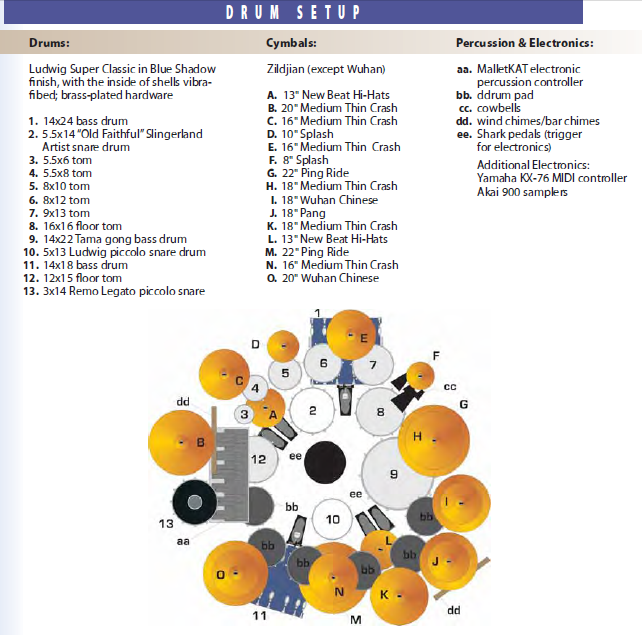 Accompanying this are exquisitely detailed diagrams of each of Neil's drumsets, produced after extensive research into the exact instruments that were used on every tour. Tying everything together is a beautiful collection of dozens of photographs taken over the past 30 years, including exclusive shots from the archives of Fin Costello and Andrew McNauhgtan, which show Neil and his drums in vivid detail. The book also contains color reproductions of just about every drum company advertisement that featured Neil during his career. 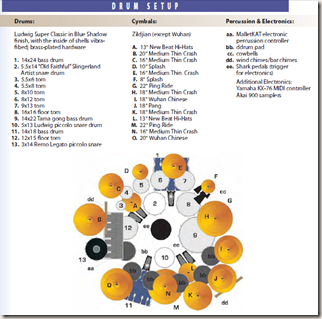 Written, transcribed, and researched by well-known drummer, author, and educator Joe Bergamini (who also co-produced and appeared in the DVD), and overseen and edited by Neil himself, "Taking Center Stage: A Lifetime of Live Performance" is the most complete, accurate, and definitive work on Neil Peart's career as a drummer. Here's a link to a sample PDF on Rushisband.com. Thanks to Rushisaband for the head's up! Happy 60th Birthday, Neil Peart!